OK, I know what you're thinking. Sour cream...in a smoothie? Well it's time to step up to the ledge my friend, because I'm about to make you into a believer. We're big fans of fruit smoothies at my house. They're tasty, refreshing, and a good replacement for a milkshake if you're looking for something a little healthier. 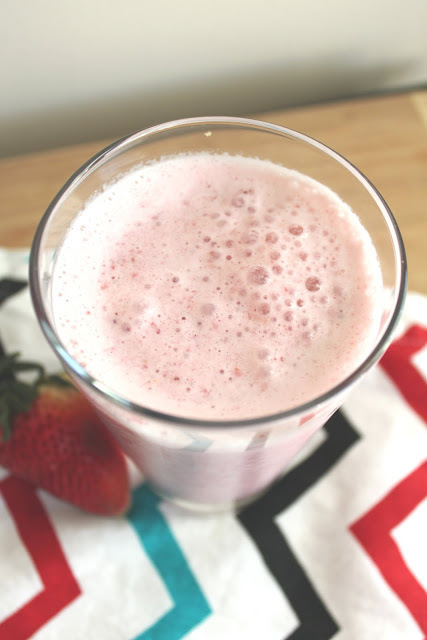 This strawberry smoothie involves adding a secret ingredient - sour cream! - to add a little extra creaminess and zing to your typical fruit smoothie. This recipe is so easy it almost doesn't need a tutorial, but I couldn't resist sharing it with you anyway. 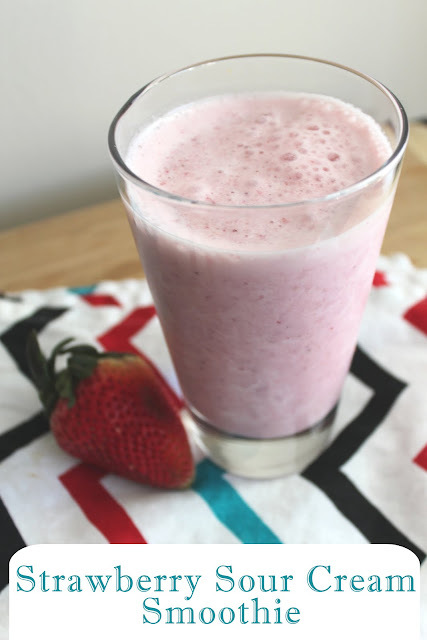 If you're using fresh strawberries, you'll need to add more sugar and some ice to help give it that nice, cold thickness you look for with smoothies. I am going to have to give this a try! Looks great.